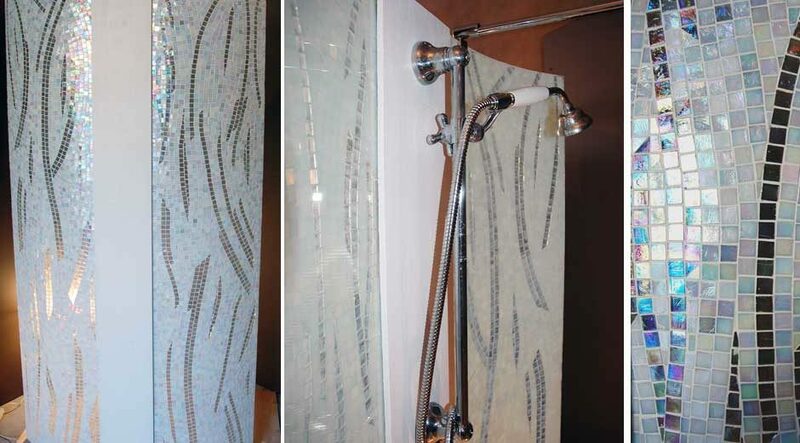 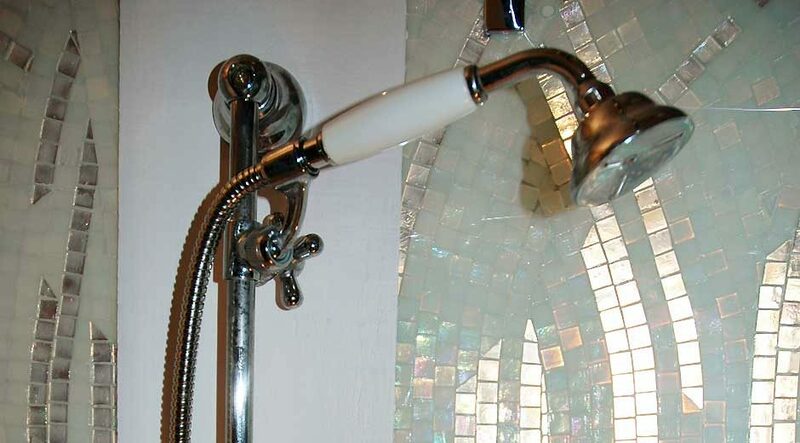 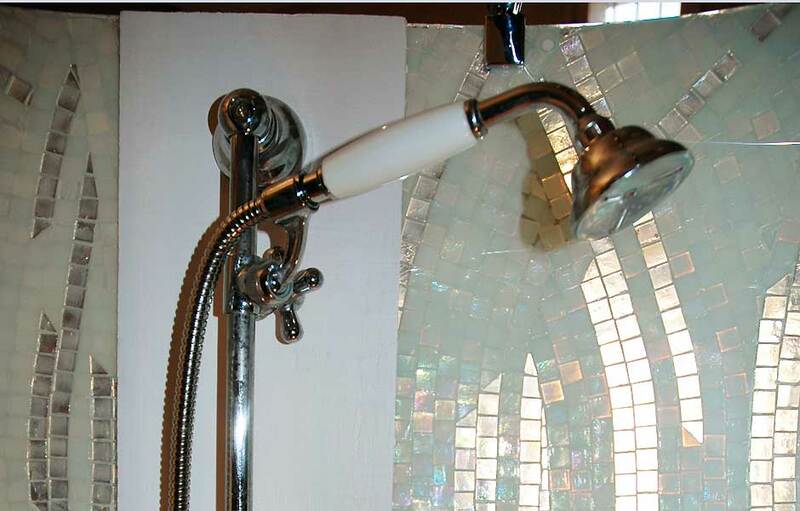 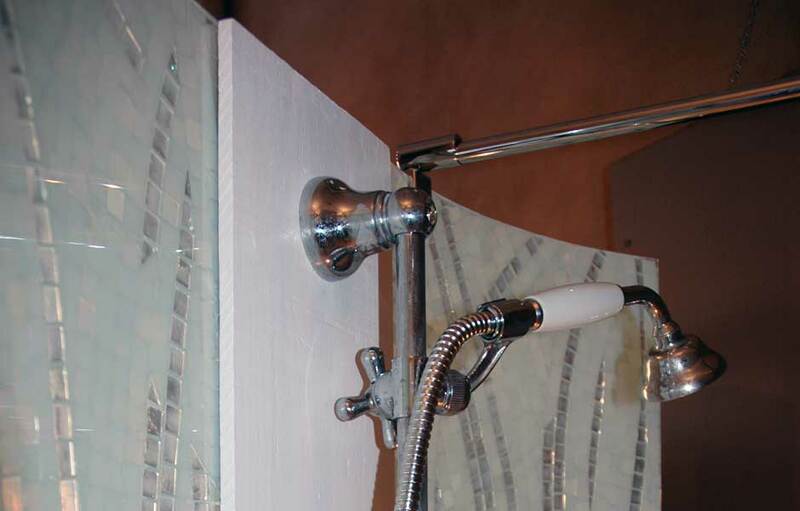 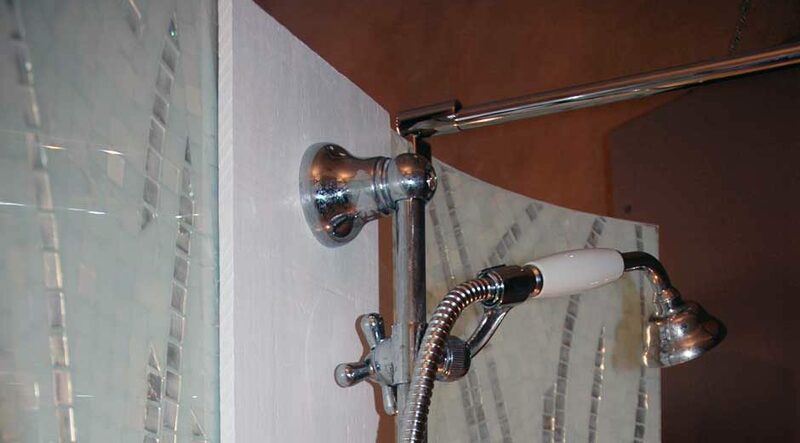 Creation with iridescent and translucent glass mosaic : a unique piece created for a shower. 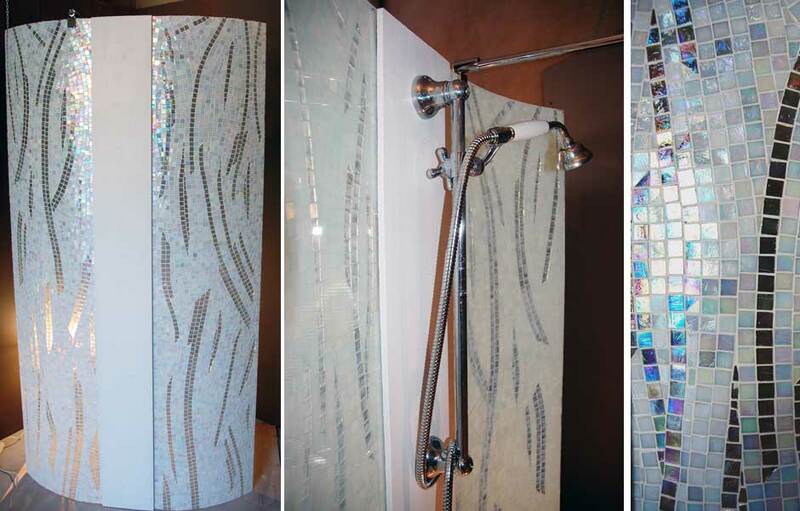 Realisation with glass mosaic cut with mosaic pliers and glued onto the glass. 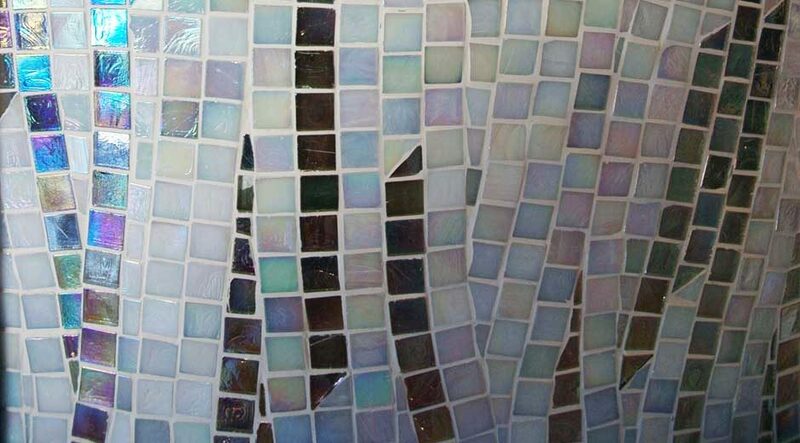 Iridescent and transparent glass mosaic. 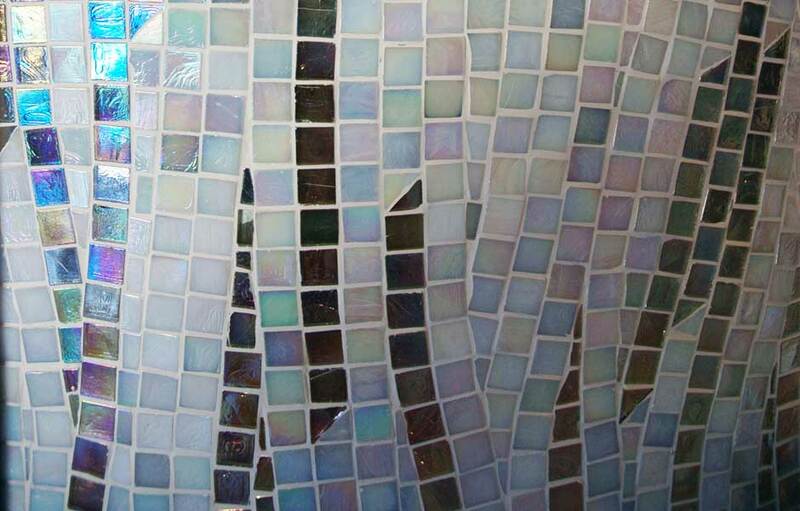 Mosaic dimension: about 3 m2.